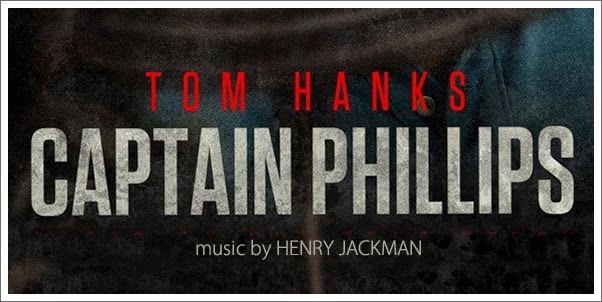 Released to rave reviews, CAPTAIN PHILLIPS is another feather in the cap of PAUL GREENGRASS, a master of the “based on true events” sector of Hollywood cinema, and yet another standout performance from the ever-reliable TOM HANKS. A potential hurdle for a suspenseful biopic thriller in the vein of CAPTAIN PHILLIPS is the fact that many audiences will go into theaters with prior knowledge of the outcome of the film’s real life inspiration. In the hands of lesser talents, this would lead to a film bereft of tension and suspense, but GREENGRASS has proven time and again that he is able to inject the silver screen with palpable anxiety, and he has clearly succeeded once more. With frequent collaborator JOHN POWELL on an extended break, GREENGRASS sought the talents of the rapidly rising HENRY JACKMAN. How does this new, but likely temporary, partnership fare in pirate-infested waters?